Looking for a Drug Rehab or Alcohol Rehab Center in Wyoming? There are a number of different drug rehab options available throughout Wyoming. The decision of what type of program will best fit the addicted person's recovery needs takes careful consideration. While the first step in the process is learning about the various treatment methods, it is helpful to speak with the treatment centers staff to fully comprehend the different facets of each program. Factors to consider when speaking to various drug rehabs in Wyoming are: the severity of the addiction problem, the treatment center's addiction focus as well as their approach to recovery, their ability to treat multiple conditions (e.g. dual diagnosis), cost of services and the rehab's location. 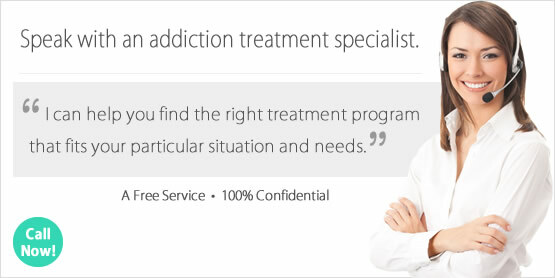 Drug rehab in Wyoming provides treatment services for substance abuse and addiction issues. The Substance Abuse and Mental Health Services Administration (SAMHSA) reports Wyoming drug rehab programs enrolled 5,374 individuals for addiction treatment services during 2014. This is a slight decrease from 2013's Wyoming drug rehab statistics of 2,432 enrollments. The ratio of male to female enrollments for drug rehab in Wyoming was 65.4% male and 36.6% female. With the most common age group receiving treatment between 21 through 25 years old. Alcohol addiction made up the greatest number of Wyoming drug rehab enrollments during 2014; consisting of 35% of all Wyoming treatment admissions for that year. The Wyoming Association of Sheriffs and Chiefs of Police 2014 report on Alcohol and Crime notes that while the amount of alcohol-involved arrests have dropped by 8% in the past 2 years; the number of drug-related arrests has substantially increased. Over the past 2 years, Wyoming drug-related arrests have increased by 37%. Furthermore, close to 8% of these drug-related arrests involve marijuana. The theory behind the increase in marijuana-related drug arrests is that many people are smuggling legally grown marijuana into Wyoming from nearby states, where the drug is now legal to use recreationally. Similarly, there has been an increase in the number of meth-involved arrests. Over the last 4 years, officials report that the number of meth-involved arrests have nearly doubled. Alcohol treatment in Wyoming continues to remain one of the primary rehabilitation services sought after by residents. The Behavioral Health Barometer report from 2014 indicates that between 2009 and 2013, 10% (around 4,000 individuals) in Wyoming aged 12 or older struggling with alcohol abuse or addiction problems received treatment for their alcohol use within the year prior to the survey. Conversely, the resulting 90% of residents in need of alcohol treatment in Wyoming did not receive the care they needed. 2013 statistics from SAMHSA report 41.8% of all Wyoming rehab enrollments were for the treatment of alcohol use. This percentage dropped slightly in 2014 to 35%, consisting of 1,879 individuals entering alcohol treatment in Wyoming during that year. The ratio of male to female alcohol treatment admissions during 2014 in Wyoming was 69% male and 31% female; with the average age group ranging from 26-30 years old. Inpatient vs outpatient treatment in Wyoming often provides clients with similar addiction rehabilitation services. The primary difference is that when a person enrolls in an inpatient program they will move into the drug rehab facility during the rehabilitation process. Outpatient treatment programs allow for more flexibility; the person continues to live at home, but attends the program during the day or evening. Data from SAMHSA shows that during 2013, there were 12 residential inpatient drug rehabs and 5 hospital inpatient treatment programs operating in Wyoming. The SAMHSA report also indicates there was a total of 46 outpatient treatment programs operating in Wyoming in 2013. The most current national statistics for inpatient vs outpatient success rates from the 2010 Treatment Episode Data Set (TEDS) indicate inpatient clients are more likely to complete treatment than outpatient program participants. In this study, around 50% of all forms of inpatient rehab clients completed the treatment program they had enrolled in. An estimated 24% of inpatient clients left treatment before completion because they were transferred to further substance abuse treatment. On the other hand, it appears that 38% of outpatient clients completed the treatment programs they were enrolled in. An approximate 30% of the clients enrolled in outpatient treatment dropped out before completing their program. Statistics from 2010 TEDS follow-up survey reveal 67% of short-term residential treatment graduates reported no substance use in the month prior to the survey. Comparatively, 63% of outpatient treatment graduates reported no substance use in the past month of the survey. What Does Inpatient Rehab in Wyoming Involve? This type of treatment involves living at the rehab facility during the recovery program. The program participant is provided with around-the-clock medical and therapeutic care from treatment specialists. Inpatient treatment programs offer highly individualized services focused on treating the person's specific medical and emotional needs. During the person's time enrolled in inpatient treatment they will participate in a number of rehabilitation-related activities; for instance, individual counseling sessions and group meetings. Program participants that require daily medications or other medical care will receive these services while enrolled in the program. Statistics from SAMHSA in 2013 note there were 7 short term (less than 30 days), 9 long term (30 days or longer) and 6 detox inpatient treatment centers in Wyoming. What Does Outpatient Rehab in Wyoming Involve? These types of programs allow for more flexibility. In outpatient treatment the program participant continues to live at home while receiving addiction rehabilitation services. Typically, these programs cost less than inpatient drug rehab. This makes them a great choice for individuals who are unable to leave their personal and/or professional obligations to receive treatment. Wyoming had 46 outpatient treatment programs as of 2013 (SAMSHA); 44 of these centers offered regular outpatient rehab, 37 were able to provide intensive outpatient treatment centers, 4 offered day treatment/partial hospitalization programs, 4 provided outpatient detox centers and 3 were methadone/buprenorphine maintenance clinics.